The third to last week of session brings with it the fiscal committee deadline; bills must be out of fiscal committees by Tuesday, April 9, otherwise, they are dead. Last week policy bills faced the same fate. As a result, most committees have wrapped up their work for the remainder of session and work now moves exclusively to the floors of the House and Senate Chambers where bills need votes in order to get to the Governor’s desk for his final signature. These last few weeks are also when legislators begin negotiating their budgets – when lawmakers go behind closed doors to “conference” and come to compromise on the operating, capital and transportation budgets. Over the course of the next few weeks we will begin to get a better idea how far apart negotiations are, and whether (dare I say it) a special session will be necessary. SSB 5179: Senator Marko Liias (D-Lynnwood), would raise the current $10,000 bid limit threshold for county electrical illumination equipment procurement and work to $40,000. As a reminder, this is a WSACE priority bill and continues to move through the legislative process. The bill passed the House Transportation Committee unanimously last week and is sitting in the House Rules Committee awaiting floor action. If it passes the House it will head to the Governor’s desk for his signature. SB 5418: Senator Dean Takko (D-Kelso), concerns local government procurement. 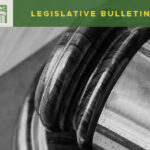 This bill has a number of provisions in it relating to local government procurement, including, allowing counties to utilize unit-priced contracts, and increasing the small works bid process from $300,000 to $500,000. The House Local Government Committee stripped the bill of a sunset that had been added to the bill in the Senate after local governments advocated for its removal. WSACE is supportive of this bill. 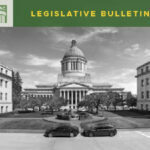 SB 5883: Senator Curtis King (R-Yakima) concerns vehicle weight loads carrying farm products. It’s companion bill, HB 1712, died in the House, but 5883 continues to move. It was amended in the Senate with changes to the weight measure. Instead of 2,000 pounds as the allowable overage, it is now 5% of the load. Counties have significant concerns with this legislation. As lawmakers work to wrap up their work, WSACE is closely following and engaging in conversations around culvert funding and a unified plan to address fish passage projects statewide. 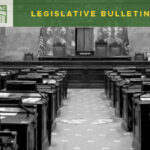 Both House and Senate transportation and capital budgets included funding to WSDOT and local governments for culvert replacement and repair, and both chambers included language directing WSDOT/the state to include local governments in their long-range plans. Counties will continue to advocate for this approach, as well as for a permanent funding source to address this complex and costly problem. 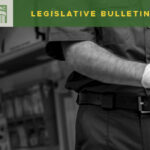 This issue will certainly not be resolved in the 2019 session, and WSACE will continue to engage in conversations as they move forward in the coming years. As reported in my article last week, the House budget included language authorizing counties and WSDOT to embark on a STP federal fund exchange program. However, the Senate budget did not. I am continuing to advocate for the final compromise transportation budget to include this important program. Now is the time to ask your Commissioners to talk with their legislators about including this proviso. It’s the final countdown … 21 days to go!